You can’t just head off to the nearest mountain ridge in the USA and start climbing. A lot of planning and preparation needs to happen before you start ice climbing, and the best place to start is with getting the essential equipment. Ice climbing is a dangerous activity, so follow this list closely for both a safe and warm experience. Rope: One of the most important pieces of equipment that you are going to need when ice climbing is durable climbing rope. The climbing rope will act as your guide, helping you to hoist yourself up against the ice. The climbing rope is either anchored to the highest point of where you are climbing or attached to a leader, who will be marking out anchors along the way. 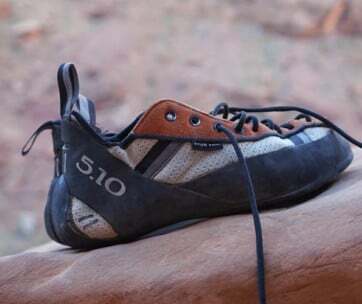 Shoes: Next up on your list of essentials should be a sturdy pair of climbing shoes. They might not be the most attractive pair of shoes you’ll buy, but they’re extremely important in terms of safety and practicality. The difference between climbing shoes and normal shoes is that climbing shoes are made to support you when climbing, so are equipped with strong grips and versatile material. These shoes will keep your feet warm throughout all weather conditions and will prevent you from slipping. When it comes to finding the best fit, it’s recommended to go up a shoe size so that your fit don’t run the risk of slamming into the ice when climbing. Crampons: If you want to have any chance of a successful ice climb, them crampons are just as important as your rope and shoes. 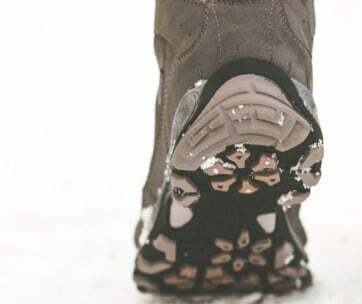 A crampon is a metal plate with spikes, which attaches to the bottom of your shoes. As you climb the ice, the crampon penetrates it, acting as an anchor for your body to avoid falling. Ice Tool: As well as having sharp objects attached to your feet to keep you gripped, you’re going to need another sharp object to help hoist yourself up. Ice tools are the solution for this, and if you want to make life easier, buy a traditional ice tool which comes with a leash. We’re only humans, and dropping things is normal. When it comes to ice climbing, however, you can’t afford to drop your ice tool and watch it plummet to the ground below! Clothes: As you will be ice climbing, the weather conditions will obviously be freezing, meaning you need to bring a sufficient amount of cold weather gear for your expedition. The main idea here is to wear plenty of layers, so you can remove some if necessary. It’s much better to have one too many layers than not enough! Starting from the first layer, wear a base layer or a thermal vest to keep all the warmth in. From here, you can layer up t-shirts, down sweaters and winter jackets on your top half. When it comes to your bottom half, the same layering technique applies. Opt for thermal underwear and softshell trousers for maximum flexibility. 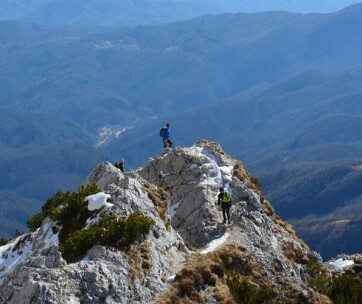 It’s also recommended to get a pair of gaiters to put over your shoes to make sure that your legs are protected from the sharp points of crampons. Harness: A harness is another important safety essential to have when ice climbing. Find the best size harness and take your layers of clothing into consideration, as if you can’t move, then you have no chance of getting a harness on! The majority of harnesses have the same features, but if you want a stress-free ice climbing experience, find a harness which has loops to hold the rest of your equipment. This will save a lot of hassle from trying to hold everything when your hands should be free for full climbing ability. Backpack: Just like any climbing adventure, you are going to need a tactical backpack so that all your belongings are kept in one safe place. It’s vital to make sure that the backpack isn’t too big nor heavy, as this could weigh you down and make climbing very difficult. However, the majority of tactical backpacks are made for expeditions like this, so will be both waterproof and light enough to proceed as normal. Unless your expedition is being carried out over a series of days, you will get away with filling your tactical backpack with a first-aid kit, water, food, added warm accessories (see next point), SOS numbers and a GPS. Added Warmth: As you are going to be working outdoors and very closely with ice, take some added warmth accessories into account. 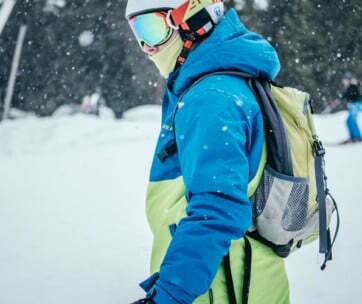 For example, climbing or ski gloves will keep your hands warm and dry but also give you added grip for when working your way up the ice slope. In addition to this, wearing extra layers of thermal socks will mean that you can feel your feet at all time, eliminating the risk of frostbite or athletes foot! 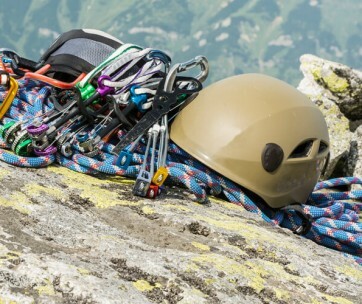 Lastly, keep your head warm and protected with a woolly hat and climbing helmet; unfortunately falling as a beginner is very common. Water: Just like any other sport, ice climbing is something that will use a lot of energy, meaning you need to stay hydrated. If your tactical backpack has a water compartment, then you will be able to set this up and take a sip while climbing. This isn’t essential, however, as you can just fill up a flask and pop it in your backpack for whenever you need to quench your thirst. Take regular breaks to have some water as you will be putting yourself at danger when ice climbing while dehydrated. Firstly, you need to secure your feet, ensuring that there are no obstacles which could potentially loosen your grip. Be stubborn, kicking the ice just once to get a grip; the more you wiggle your feet around, the more dislodged the crampons will become. Once good footing has been found, always remember that accuracy is key, so use a ‘wrist flicking’ motion when throwing your ice tool to avoid damaging the ice and having to throw again. When your tool is firmly in the ice, remove your feet and step up gradually. Keep repeating these movements and you’ll find yourself working your way up the shaft of ice which once seemed impossible! It’s worth noting that your legs should be kept shoulder-width apart while your ice tool remains above, in the centre. Think of this as the ‘triangle position’ and you’ll have a much easier time remembering it. The French Technique: The ‘French Technique’ is used most commonly on slopes with low-angles. This technique involves relying on flat-foot movements so that the sharp points on your crampons lay flat on the ice. The German Technique: If the slope is steeper, then it’s time to try out the ‘German Technique’. Unlike the French Technique, this technique involves relying on the front of your crampons to kick the ice. As you can probably tell, none of the above dangers will have pleasant consequences. It’s vital to have a safety plan in place in the unfortunate chance of any of this occurring. Ice climbing is all about teamwork, and cannot be done alone. As mentioned earlier in the guide, you will be using the climbing rope as leverage, but there will be no rope to grasp on to if your teammate hasn’t set it up properly above. Ice climbers move together, pitching the rope as they ascend. If you were to ice climb alone, then you will have no companion to secure the rope – it just wouldn’t work! Be sure to climb with a team who understand the dangers and have experience in supporting a beginner. They will be your guide both physically and mentally. Carrying a GPS device on you at all times is a must; especially with regards to the risk of an avalanche. It’s likely that you will be ice climbing in an unfamiliar destination, and the chances of this being near a busy town are slim. With the help from a GPS device, you will be able to find out exactly where you are if you were to get lost. In the worst-case scenario of an avalanche, you will be able to send out a distress signal from your GPS to call for help. If your GPS is advanced, then you will also be able to see where the rest of your team are. To put it simply: having a GPS is critical to avoid getting lost and increases the chances of getting found. Downclimbing: Downclimbing is one of the most-used techniques when descending an ice climb. Just like the incline, downclimbing relies on teamwork and relies heavily on the climbing ropes. This technique is extremely similar to the techniques used for climbing up, however, the movements are just done in reverse, instead. 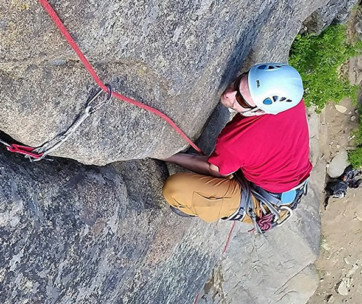 Rappelling: A slightly more dangerous, but exhilarating, descent technique is called rappelling. A lot of popular ice-climb destinations will have a rappelling route in place, where you simply use the provided rope to slide down to safety. This might seem like a simple option, but take this route with caution and check that all bolts are firmly in place as you descend. Lowering: If you’re on a practise climb or just on a slope which doesn’t have much height, then the lowering method could be used. A climber will remain at the bottom, using a rope to leverage you down. If you’re familiar with rock climbing at sports centres, then this lowering technique is very similar to that. With the help from this guide and a trained professional, you will be ready to ice climb in no time at all! This might be one of the most challenging experiences you put yourself up for, but the satisfaction from succeeding is like no other.